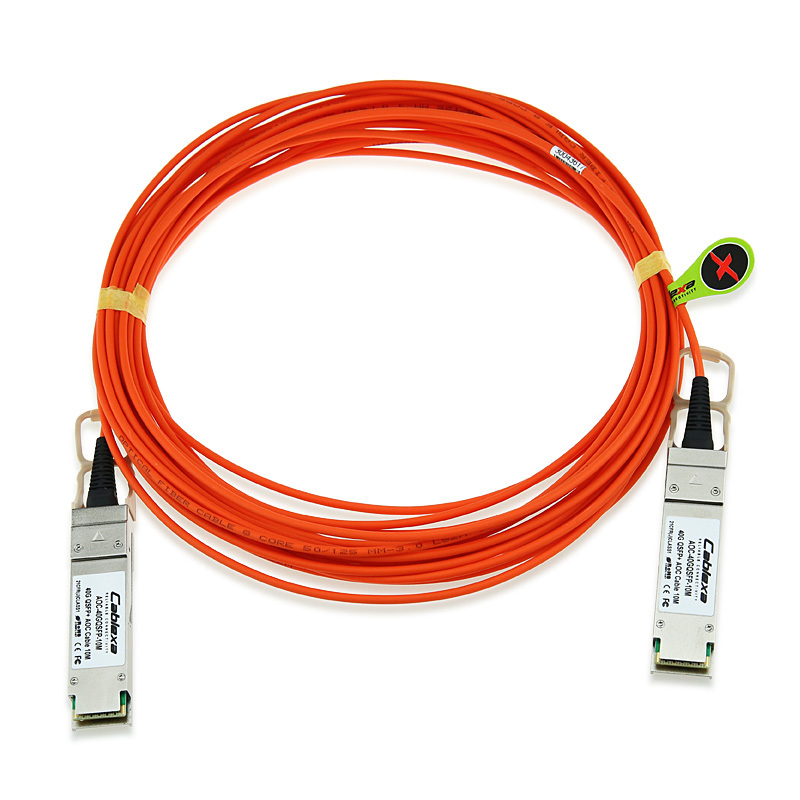 QSFP+ active optic cables are a high performance, low power consumption, long reach interconnect solution supporting 40G Ethernet, fiber channel and PCIe. It is compliant with the QSFP+ MSA and IEEE P802.3ba 40GBASE-SR4. Cablexa QSFP+ AOC is an assembly of 4 full-duplex lanes, where each lane is capable of transmitting data at rates up to 10Gb/s, providing an aggregated rate of 40Gb/s. Cablexa offers 3-year limited warranty on this AOC-40GQSFP-5M cable. Cablexa has this 40GB QDR QSFP+ Active Optical Cable, QSFP+ AOC, 5 Meter - AOC-40GQSFP-5M in stock and ready to ship. This cable is tested for 100% functionality and guaranteed compatible for outstanding network performance. Now you have a reliable, compatible and affordable means to expand your network while maintaining its integrity.